KA Corporate Headquarters, left, is part of the mixed use, high density KA Block. 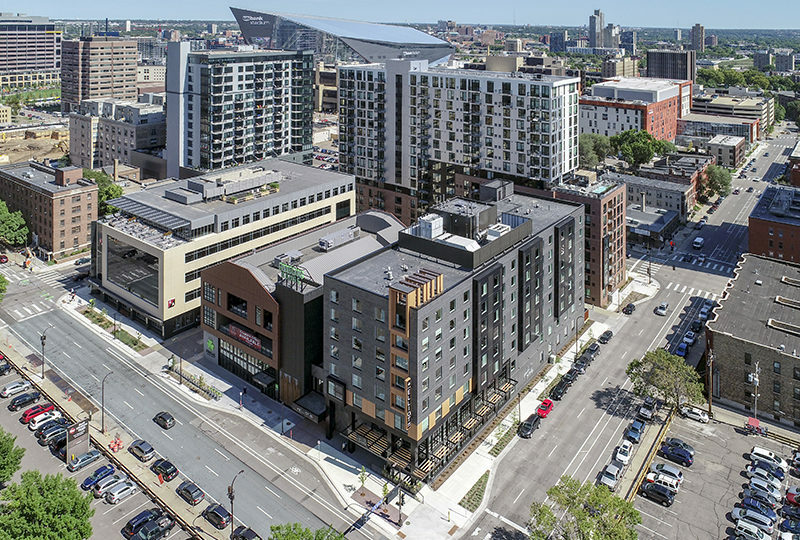 KA’s office is located on a previously developed site; is within a half mile mile of a residential area or neighborhood with an average density of 10 units per acre net; is within a half mile of at least 10 basic services; and has pedestrian access between the building and the services. 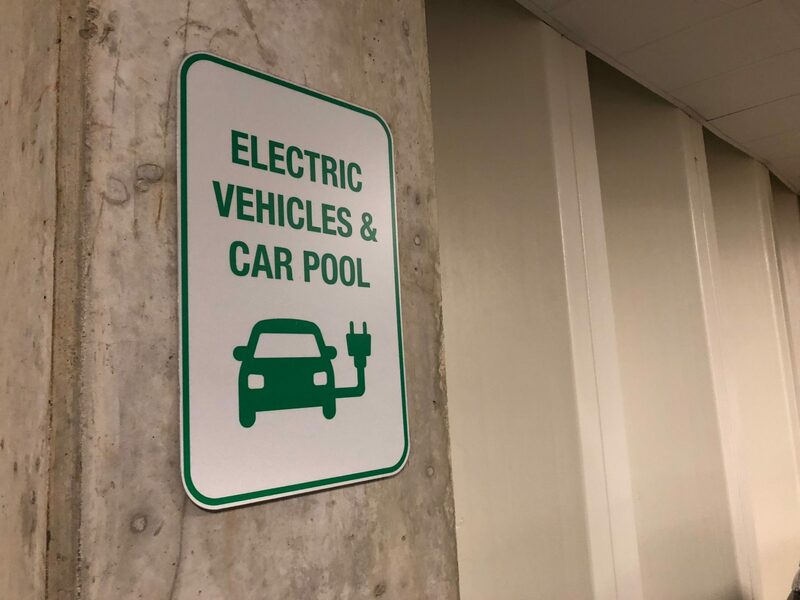 The office location provides public transportation access for employees and parking/charging stations for low emission vehicles. The facility utilizes low-flow plumbing fixtures to achieve water use reduction goals. 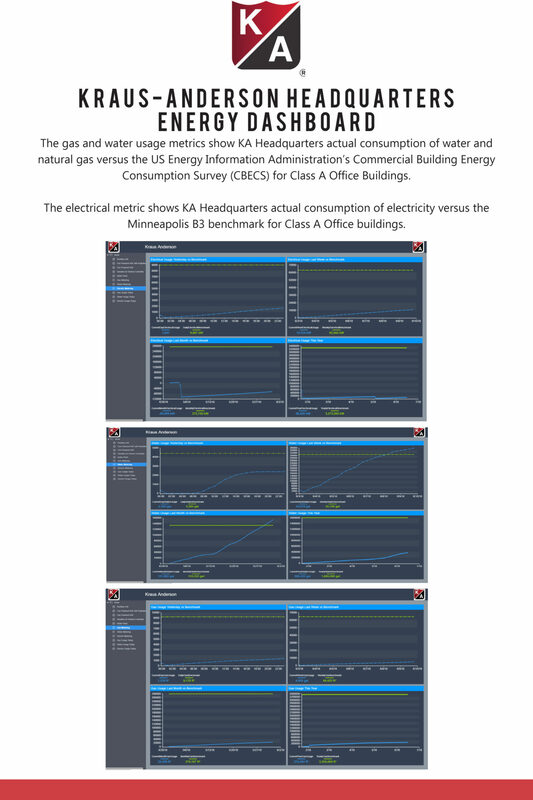 Working with Xcel Energy’s Design Assistance program, the project team achieved building energy cost savings of 29%. 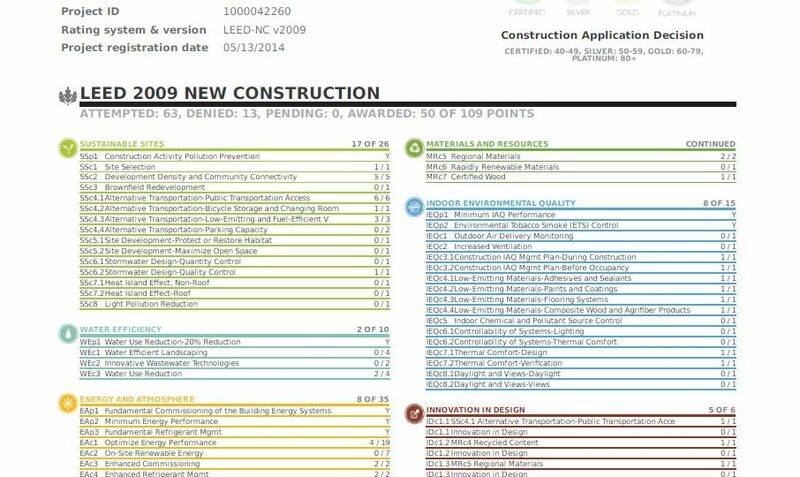 The project team consistently diverted approximately 80% of construction waste, in excess of the 75% construction waste diversion required for the LEED points. All the products used for the KA office comply with the Volatile Organic Compound (VOC) limits of the referenced standard. KA Corporate Headquarters was completed in 2017 and is located at 501 South Eighth Street, on the site of Kraus-Anderson’s original office built in the 1940s.